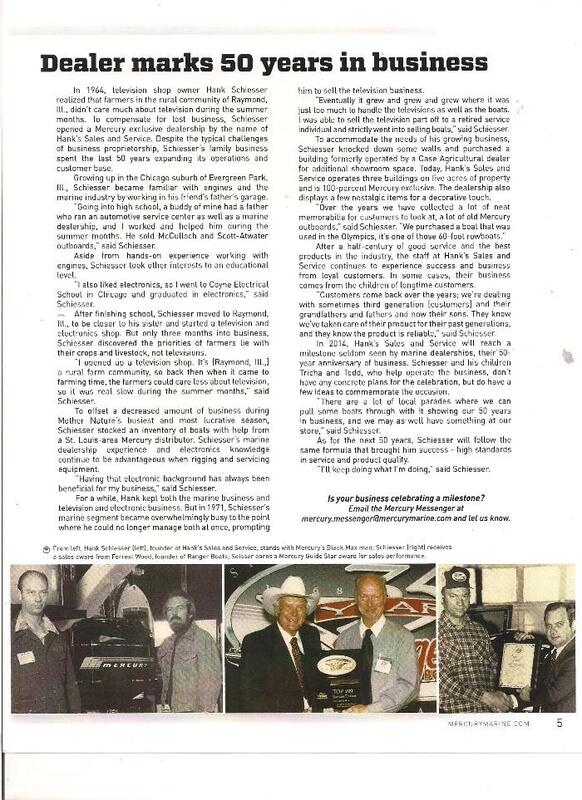 Mercury Marine article celebrating Hank’s 50th anniversary! Hank’s Sales had received the 2010 #1 Dealer in Illinois Award August 3rd, 2010 in Mount Pleasant, MI. Hank’s has also received an Avalon award in 2011, 2012, 2013, 2014 & 2015 as well!